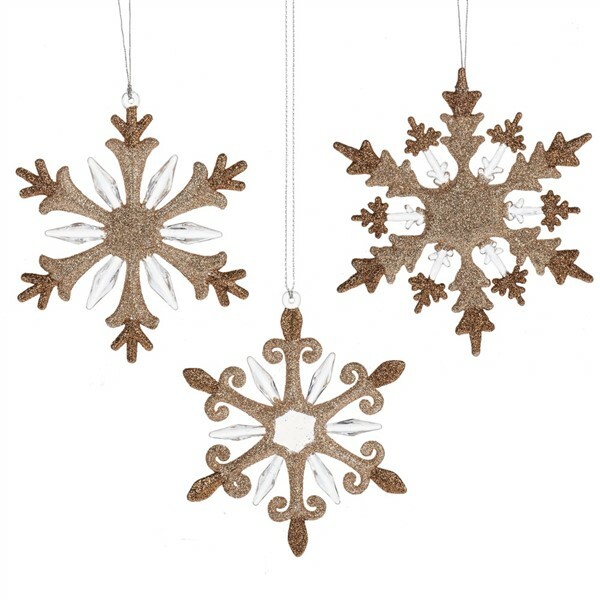 Copper is all the rage and this snowflake is a great ornament of traditional and modern for your Christmas tree. They are made of clear acrylic with both light and dark copper colored glitter. They are approx 6.25" x 6.25" x .625". They are fun to hang around the house for a fashionable new holiday look. Choose your favorite.